Our VAC Performance Coated Rod Bearing Sets are made to our specs and specially coated to reduce friction to a minimum; enabling lower temps and faster revolutions in your expensive BMW engine. 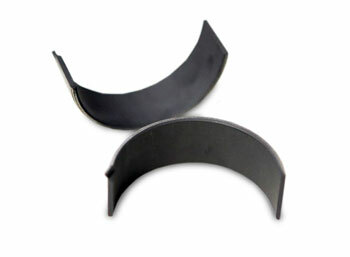 Our coated bearings are thermal breakdown resistant, helping to prevent premature engine failures under high-stress when things are most critical. Embedibility factor is also excellent; allowing our bearings to keep dirt and debris from harming the smooth surfaces being lubricated making them excelent for street cars as well. Fits S50B30 Euro Connecting Rods Only, will not fit S50B32 Euro.